This generates a list of all goods that you require(these are products in your data base). 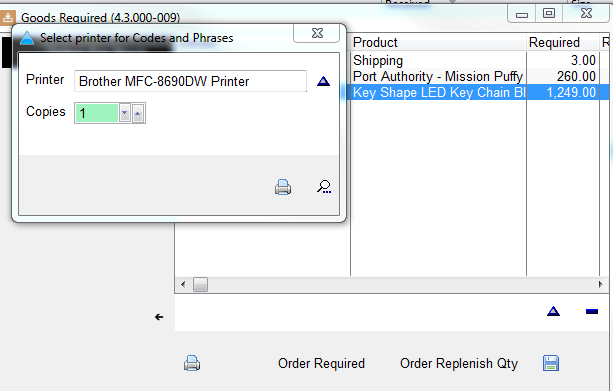 Click the print button to generate a list you can print out. By clicking the change button, you have the option to change the amounts that you want . 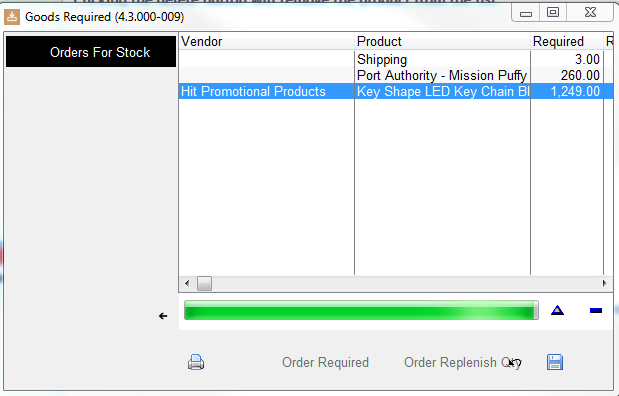 Clicking the delete button will remove the product from the list. 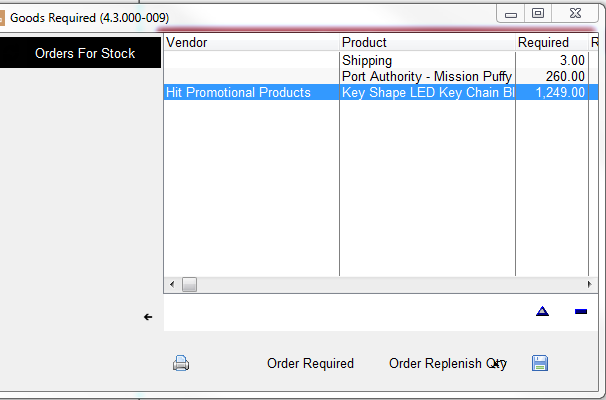 By clicking the Order Required button this will allow you to order sufficiently enough to raise stock to required quantity. 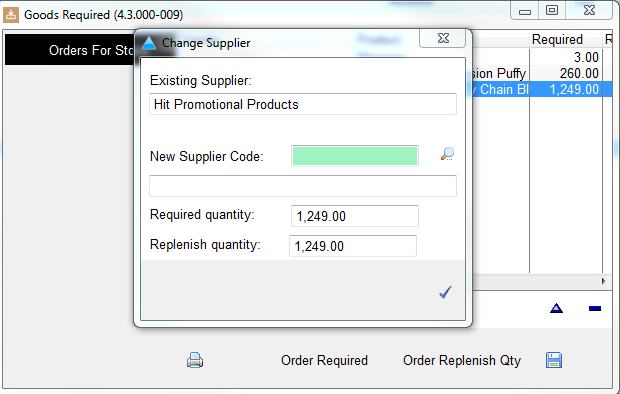 Click the Order Replenish button to order sufficiently enough to raise stock to replenish quantity. 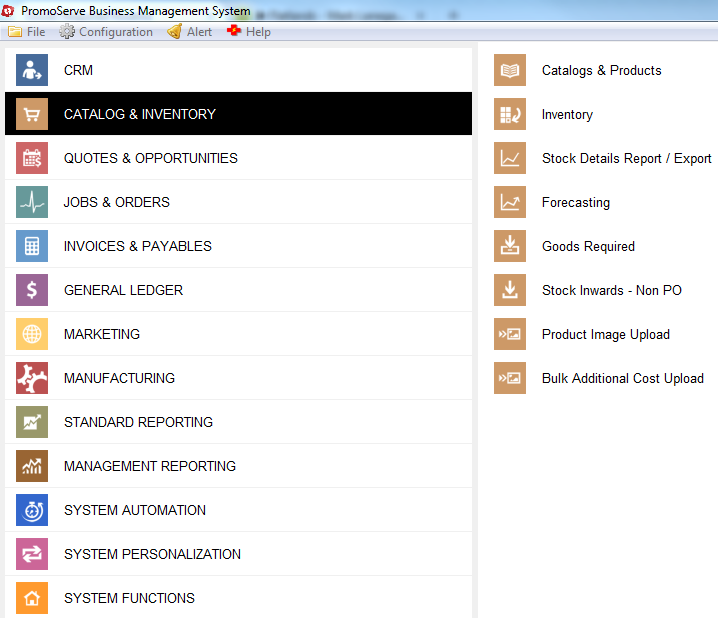 By clicking either of these buttons allow you to ftp or email them to your supplier.